A grant awarded to the University of Oregon’s Student Veterans Center by the Oregon Department of Veterans Affairs will help the center expand its programs and resources. During the 2017 session, Oregon legislators unanimously passed Senate Bill 143, which allocated $1 million to expand campus veteran resource centers at Oregon community colleges and public universities. In addition, the legislature allocated funds to hire a statewide campus veteran coordinator to provide training and technical assistance to campus veteran resource coordinators. Justine Carpenter, the UO’s director of multicultural and identity-based support services, was one of many public universities representative who testified in support of the bill. 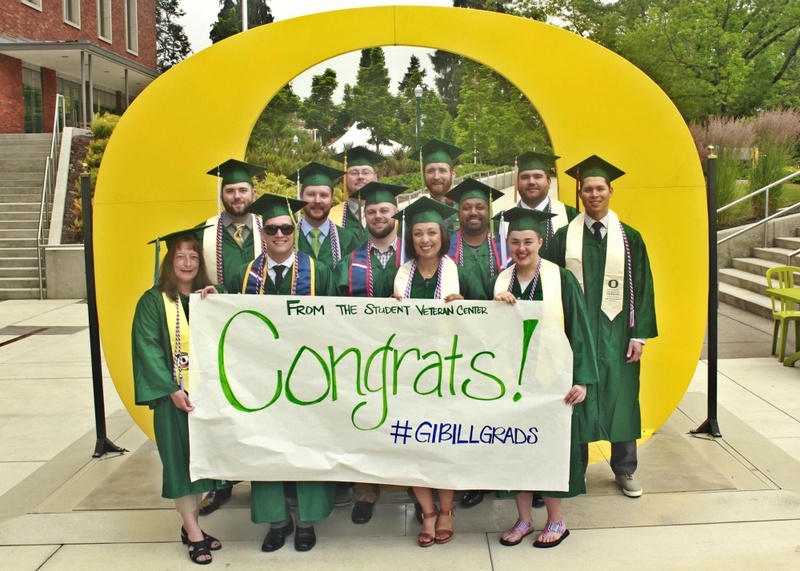 The Student Veterans Center provides support and services to more than 400 UO student veterans and family members eligible for military benefits, including the GI Bill. The $54,000 grant funds a half-time program coordinator, additional computers and technology, expanded student veteran engagement events and increased veteram welcome sessions — the center’s version of Week of Welcome — to include winter and spring terms. The grant also expands the Peer Advising Veterans Education program, which matches new veteran students on campus with experienced UO peers. Trent Goodman served in the Marine Corps as a radio communications operator; he is currently a senior majoring in cinema studies. He made a point of making connections with fellow veterans when he first arrived at the UO from Illinois and soon found a home at the Student Veterans Center. “It’s a place to take a break, decompress, get advice, use a computer and help each other with homework,” Goodman said. Now serving as the PAVE coordinator, he and his fellow peer advisors are currently reaching out to, and serving as mentors for, 100 first-year student veterans on campus in Eugene and Portland. The UO PAVE program is one of 38 programs on campuses across the country and is supported by a national team. It was just starting when Goodman arrived. “PAVE has grown and become more professional at the UO, especially in connecting people to resources,” Goodman said. The Oregon Department of Veterans Affairs provides statewide veterans services, including training and certification of county veteran service officers and managing appellate federal benefit claims; programs for aging veterans, including two homes for veterans; and a home loan program that provides low-interest loans for Oregon veterans. Currently, Oregon is home to approximately 325,000 veterans.